The Diva's Weekly Challenge #216: "UMT - Brella by Bunny Wright, CZT"
Bunny Wright's lovely brella is our tangle for this week and I found it really fun! Oh wow, I love your wavy interpretation of brella and how beautifully this tile unfolds! 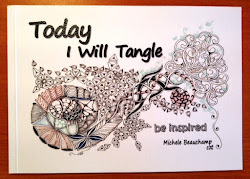 Trust you dear Shelley to put an interesting twist on my tangle,literally.LOL I've been waiting to see what you would do with it. Great!!! it's been a thrill to have Laura 'use my tangle'. Oh my, with the curvy-ness they look sort of 'mushroomy'. Great idea. What a lovely interpretation of brella. 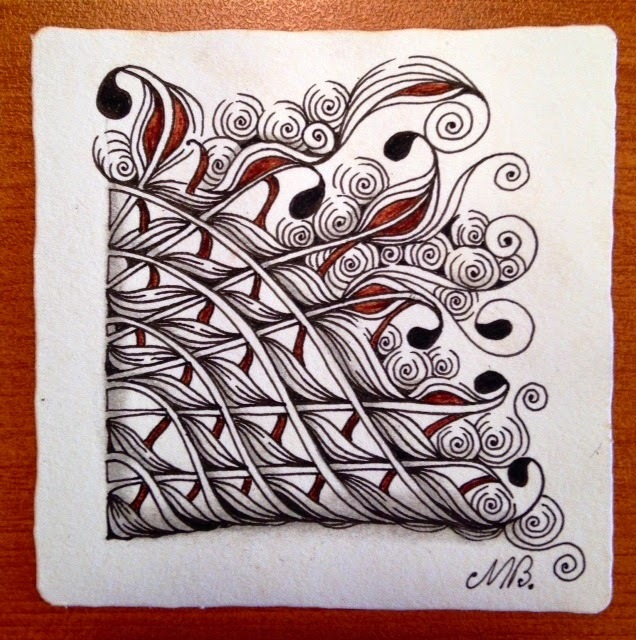 To take a "grid" tangle and create such a flowing, organic tile from it is truly amazing. Wow! Thanks for sharing you talent with us - it's inspiring! WOW! Awesome interpretation of the pattern! Gorgeous! I love the flowing lines in your Brella! Love your tile. Your interpretation of Brella is so flowing and elegant. As always, it is beautifully done. What a very, very elegant tile!!! So lovely what you did with Brella ! What a whimsical approach to Brella...i love it! How do you think of this stuff? You're amazing. When I grow up I want to be Shelly Beauch! Like the wavy, irregular Brella. Makes it look like an entirely different tangle. 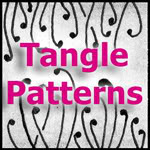 I really love how you transformed an angular pattern into something curvy and lyrical. Excellent work, as always! Lovely tile, as always. The piece reminds me of one of those cones of kettle corn or cinnamon almonds that you can buy at the local fair. Yummy tile!